Alaska is a state with world class hunting opportunities. 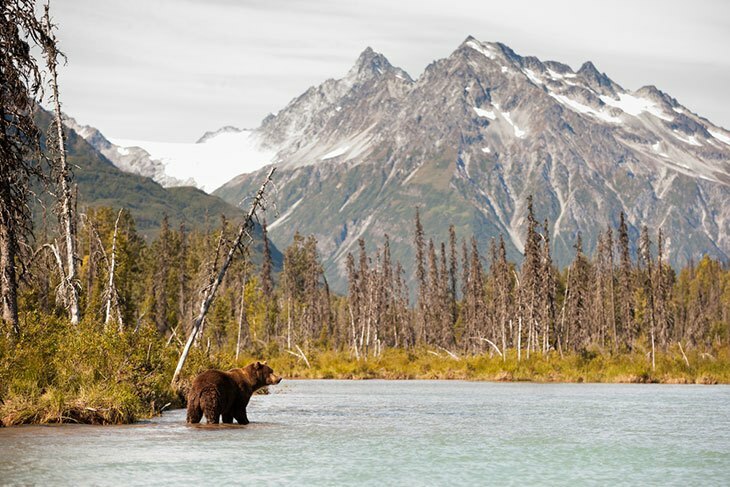 The Alaska hunting seasons include hunting bears, caribou, deer, moose, wolf, waterfowl and many other big and small games. Hunting in Alaska often means seizing a once in a lifetime opportunity to catch a rare game in the Alaskan wilderness. Be aware that many big game species have long migrations between the seasons and if you want to hunt successfully always be thoroughly prepared. Where to Hunt in Alaska? Other game – Fur animals, Small game, Unclassified game and Deleterious exotic wildlife. There might be slight differences in season dates and zones for residents or non-residents. For more information about the Units, refer to the picture below. In Alaska, to participate in all kind of hunting and trapping you need to have a valid and appropriate license. Residents under the age of 18 don’t need to purchase their licenses. Non-residents of all age are obligated to have hunting or trapping license. Senior residents who are above 60 years old need to possess a senior identification card to hunt, sport fish or trap for free. Most licenses can be purchased online. Hunting during the night is allowed but any attempt to take big game with electronic night vision scope, laser sight, or artificial light is prohibited. Also, it is forbidden using a fire, any forward-looking infrared device, and any device that has been airborne or controlled remotely. Any means of communicates wirelessly, any camera or another sensory device that can send messages through wireless communication is forbidden as well. 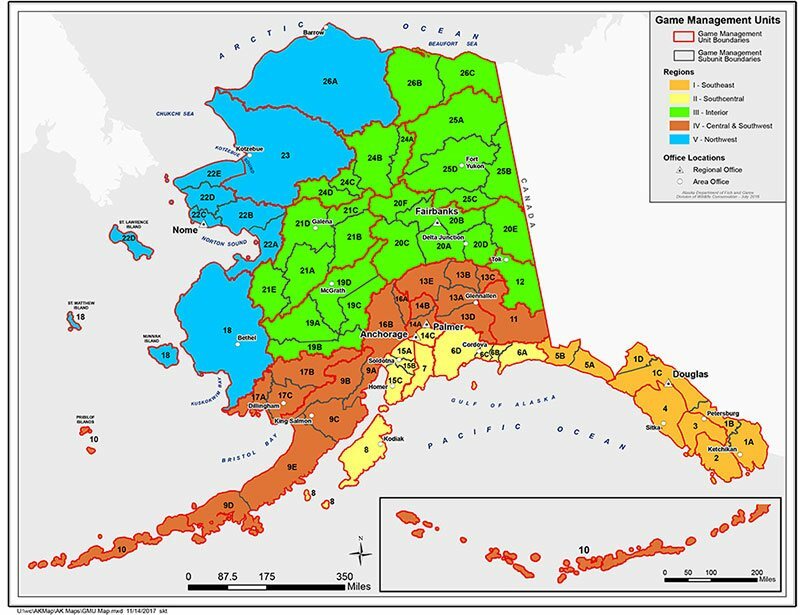 Alaska is divided into 26 bigger units, which are called Game Management Units. Each of the units contains species that may be unique to that exact area. Hunting seasons and regulations can also be different. Refer to the Alaska Hunting Regulations for precise requirements and restrictions for each unit. Don’t forget to check areas with restrictions and learn which ones are closed for all or some types of hunting.